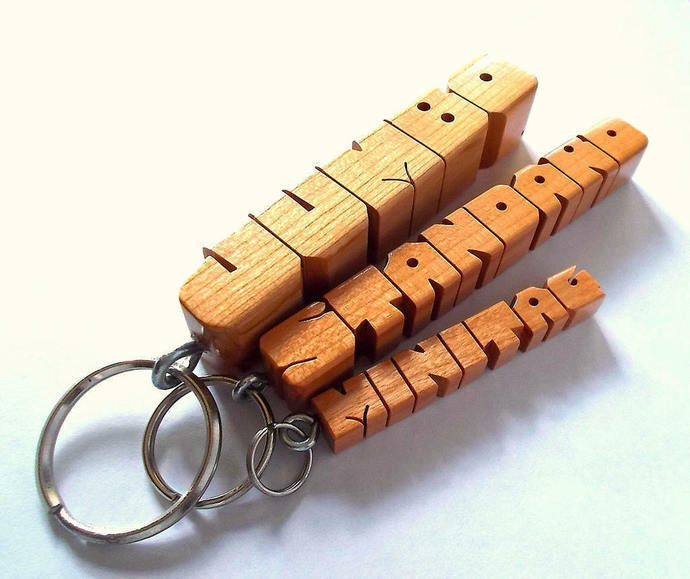 MINITAG:¦ Although similar in appearance, this wooden name charm is 33% smaller than my Standard Keychain. The last photo shows the size differences. It measures approximately 3/8 x 3/8 x 2 3/4" inch, with the 1/2" split ring. 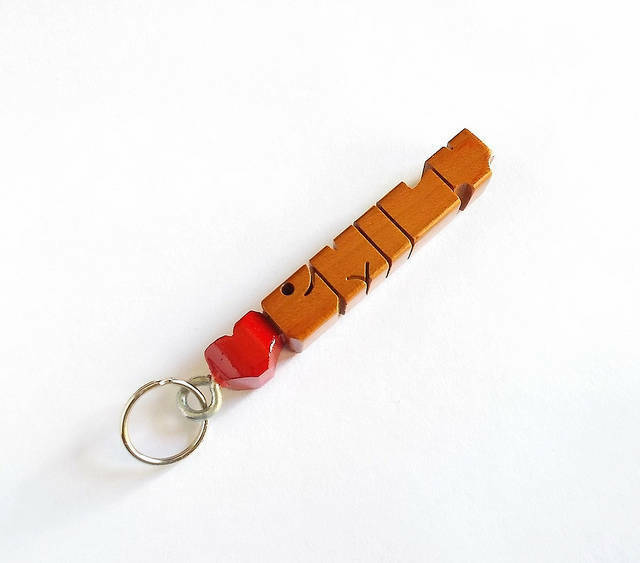 It makes for an excellent pendant, zipper pull or charm for your purse, backpack, tote, luggage, etc, (even an occasional Key Fob).